thank you for all the nice comments! some of you have guessed that the small grannies project become something to wear. that is close, only it is not meant for a human being:) helena of queen and fox was the closest, she thought it was something for an armchair. 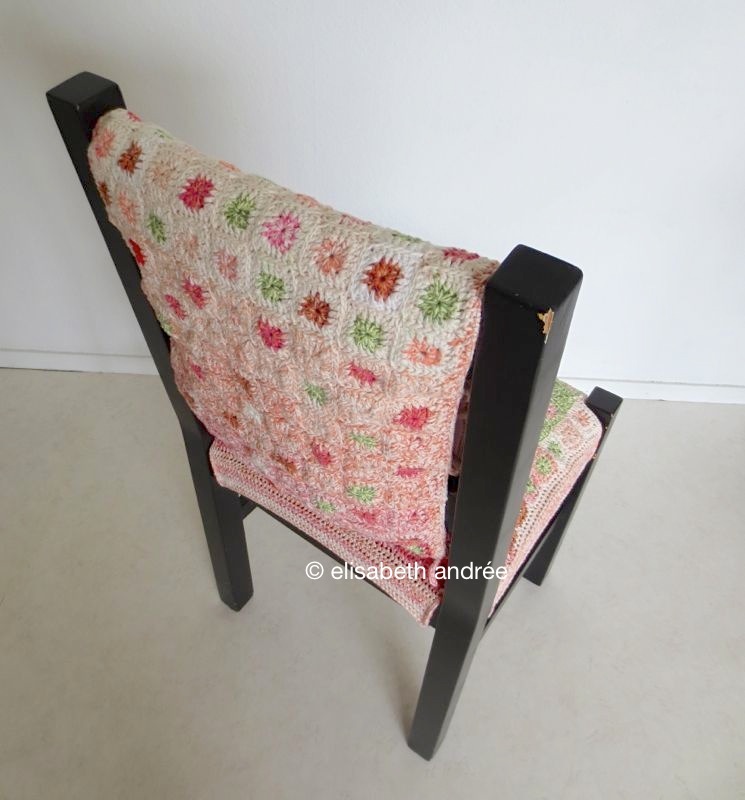 the small grannies have become an old dining chair cover, consisting of two parts. on the picture below you see the old chair that (i – along with three others and a dining table – bought in 1981/1982) stands in my tiny hallway at the front door. the seat has a sort of dent, it belongs that way, and therefore i first put a piece of an old duvet on it, as i did over the back of the chair. 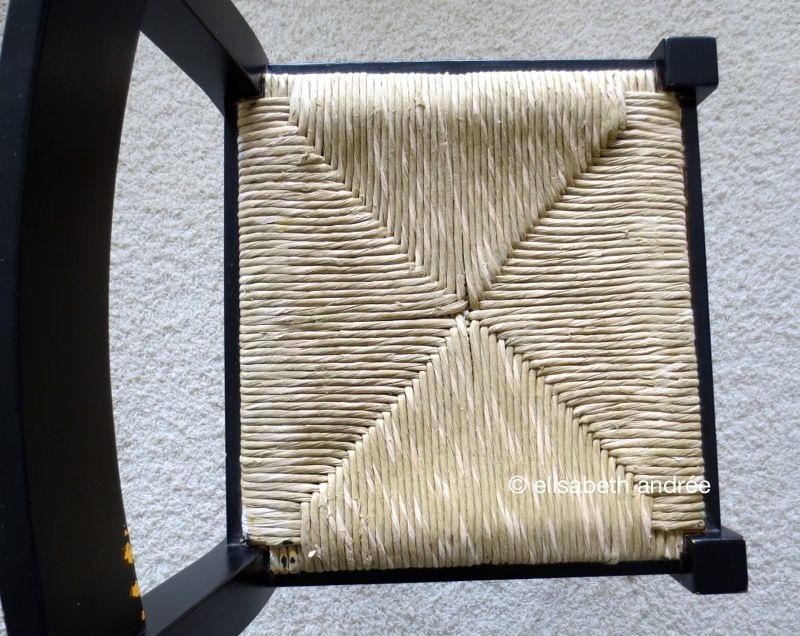 and this is how the chair looks when it is ‘dressed’. it’s not haute couture, but i’m pretty happy with it. the seat cover i tied with crocheted laces to the back of the chair legs, under the seat. the cover over the back i tied at the sides and bottom. have a very nice weekend and until next time! 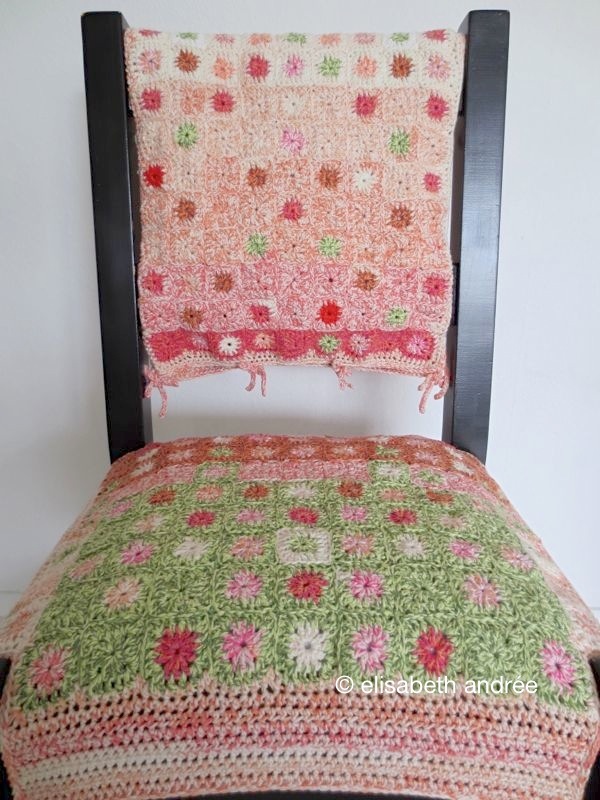 Categories: crochet | Tags: cover, grannies, granny, square, squares | Permalink. it’s been pleasant summery for the last few days and i have spent hours sitting under the parasol while working on my small grannies project. the completion of the project approaches. can you already guess what it is going to be? i had a new personal record and that’s worth a congratulation… ..not. that day i had 129 spam messages, all from one address in the uk, someone has a very empty life and that is sad. thank you wordpress for filtering out those unwanted comments. anyway, i wish you a pleasant continuation of the week and hopefully see you soon. 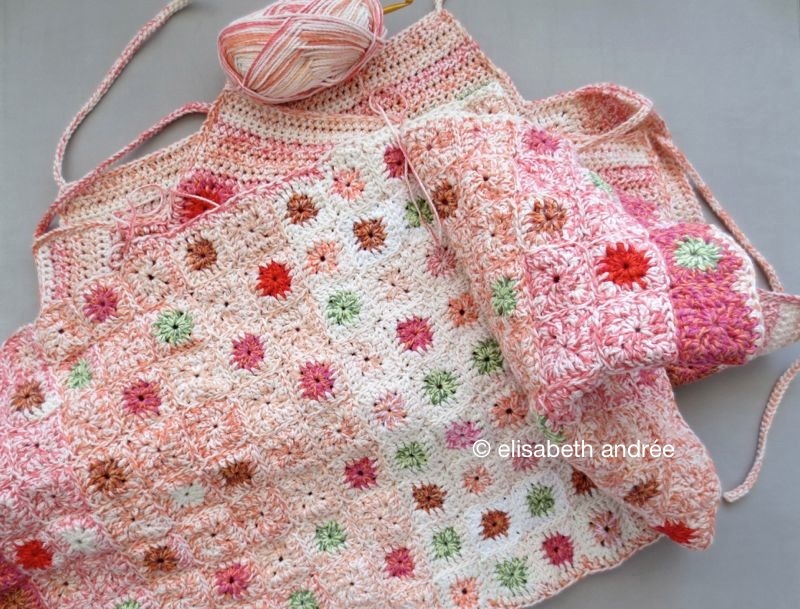 Categories: crochet, wip | Tags: grannies, granny, square, squares, wip | Permalink. the small grannies are out of the jar and i selected and now sew them together with needle and yarn. first i tried the whipstitch but i think it was not very pretty and crocheting the squares together was this time not an option. 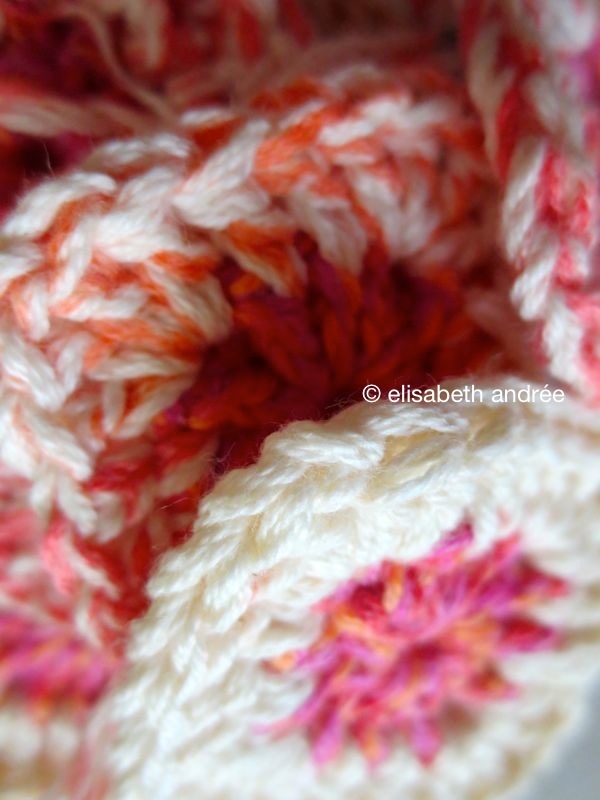 therefore i use a different method similar to that of vanessa cabban of doyoumindifiknit. did you have a good start into the new week? in a large pot with a size of 4 liters. like to make these small grannies too? later this week more about my plans. hope to welcome you then! 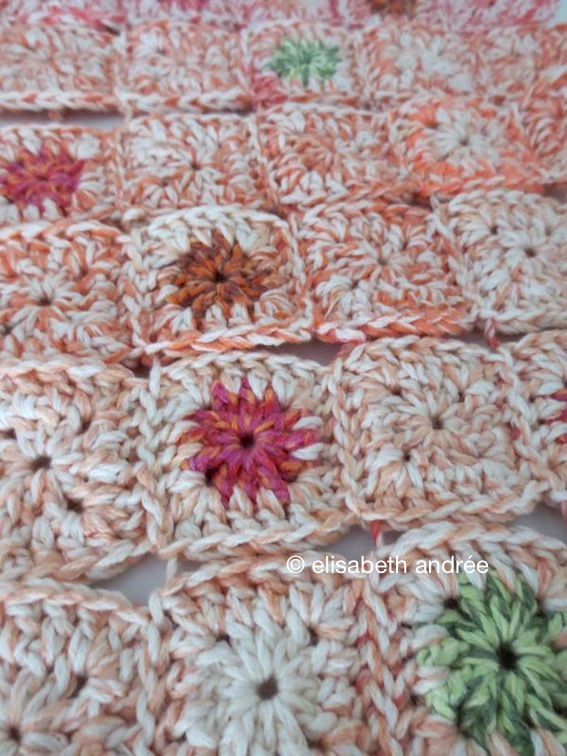 Categories: crochet | Tags: grannies, granny, pattern, square, squares | Permalink. what is the difference between the small grannies and the tiny squares? 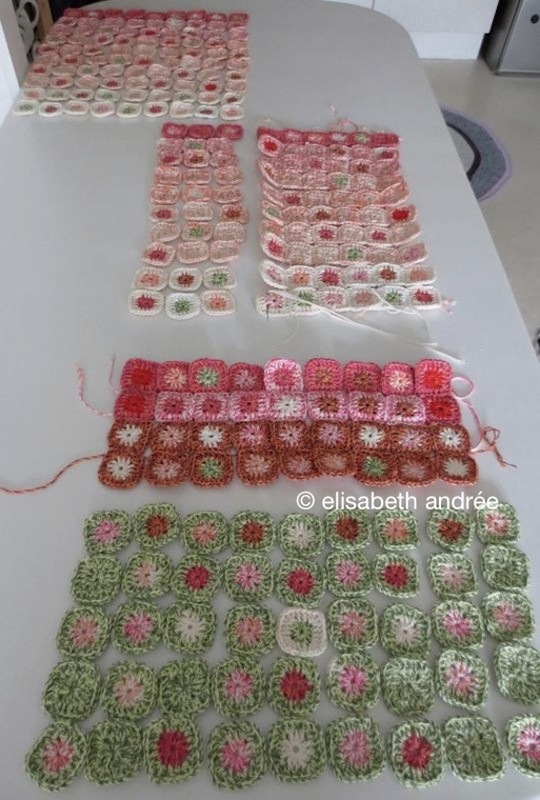 how to make small grannies? cut yarn, finish off neatly. you see, all three squares are somewhat different. hope you like to crochet them! 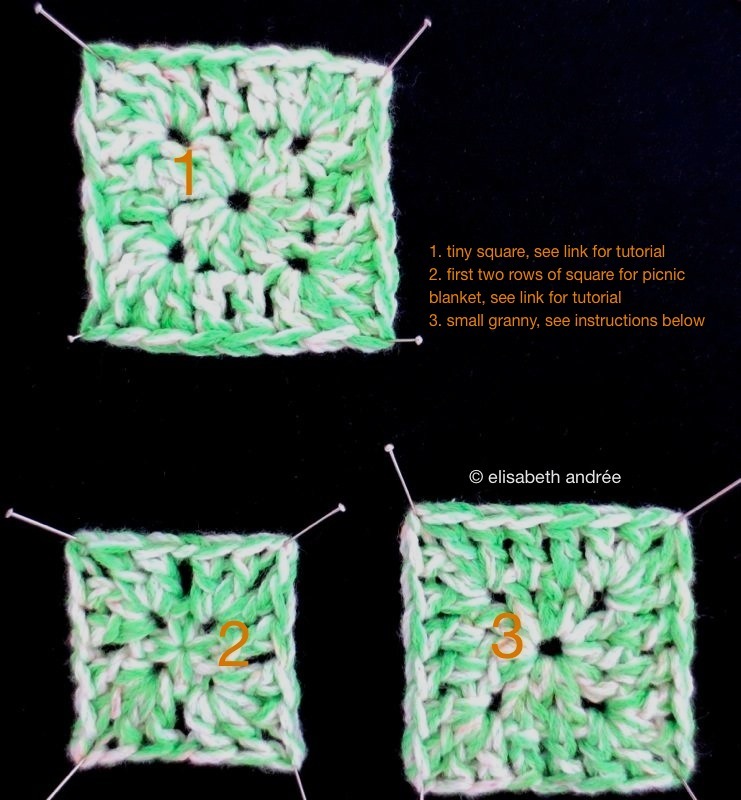 Categories: crochet, tutorial | Tags: grannies, granny, square, squares, tutorial | Permalink.